On this day, in 1783, the American Revolution officially came to an end. There was no “ceasefire”, or UN resolution; instead representatives from the United States, Great Britain, Spain and France signed the Treaty of Paris, bringing the war to an official close. America was a free nation, and the British Parliament was a few unimportant members lighter than before. You might remember that in 1775, colonists in the Americas got a little fed up with King George III’s style of executive action, and decided to start shooting Red Coats. Seriously… Leave our tea alone. (It was roughly a year later when our founding fathers decided to craft a nasty letter to the King, explaining that he was no longer the boss of us.) And as such, the American Revolution began it’s bitter, and often uncertain, volley into the history books. 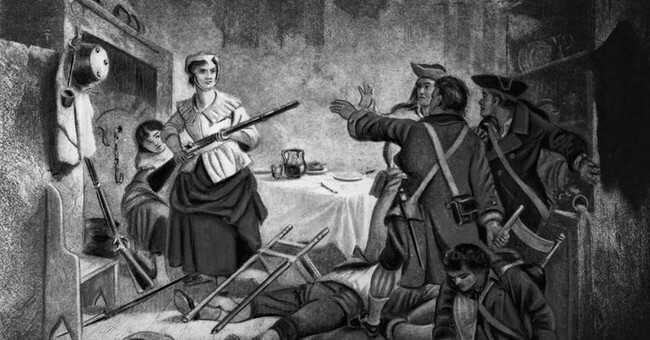 After five grueling years, it became apparent that these gun-loving farmers in the “New World” were a worthy adversary. Deciding there was no alternative, British General Charles Lord Cornwallis surrendered to American and French (it’s nice to see the French get a notch on their belt) at Yorktown, Virginia. But, it wasn’t until a year later, in 1782, that official negotiations, to determine the new nation’s geographical boundaries and codify independence, were held in Paris. Originally, the Continental Congress (that’s like the Congress we have now, except there was no Nancy Pelosi) named a five-person committee to engage in negotiations with the British and the French. Benjamin Franklin, John Adams, John Jay, Henry Laurens, and Thomas Jefferson were designated as the legal representatives of these newly-formed United States. Unfortunately, only three of the five representatives actually made it to the negotiations. Henry Laurens was captured by the British, and given an all-expense-paid trip to the London Tower. Thomas Jefferson ran into travel delays (presumably after being randomly selected for “additional screening” at the port of entry). Franklin, being the most ambitious of the group, initially demanded that Britain hand over much of Canada to the United States. (Consider it a real estate negotiation… Franklin just wanted to make sure the freezer came with the house.) Obviously, this didn’t end up happening; and in the long run that’s probably a good thing. I mean, heck, that many socialist Canucks on the welfare dole would certainly have accelerated America’s decline into bankruptcy. America did, however, win some rights to Canadian resources and eventually walked away with a nice piece of real estate that stretched from Florida to the Great Lakes. Soon the details were ironed out between the US and their slightly more pompous adversaries; and Britain agreed to preliminary articles of a treaty. By January of 1783, France was signing their own preliminary peace accord with Britain; and by September 3, 1783, all three nations (as well as Spain, because they were beginning to feel left out) signed a final treaty of peace. And, just to prove that American government has never been the quickest bureaucracy on the face of the planet, it took another 4 months for the Continental Congress to ratify the treaty. And so, on this otherwise inauspicious day, take a minute to remember that we are in fact our own nation. We are founded on the notion of independence, and individual sovereignty. A war was fought, and the world was shaken, by the sudden cry of freedom-hungry colonists in a strange new world. We will not be subjects of kings, or monarchs. We are not at the mercy of parliaments or mobs. We are a constitutional republic – founded out of an understanding of sovereignty, and an appetite for individual freedom. Men pledged their wealth, their lives, and their “sacred honor” to free a people from the tyrannical grip of an unaccountable executive, who ruled from thousands of miles away…Someone should send King Obama a history book.